I've been meaning to finish this paper illustration for the last four weeks and I finally decided to do it (mainly b/c it was taking up space on my working desk and was driving me nuts). 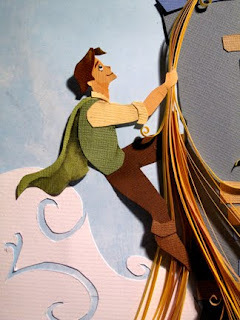 When I create these paper illustrations it's like putting together a puzzle and I try not to glue anything til I'm close to the end in case I decide to change my mind. However, this means that it's also really easy to loose these tiny pieces of paper that look like trash so I have to try and avoid moving it as much as possible. Now with school starting up I needed my space back and finished this as fast as possible. Actual size is 9" x 20". Total time it took from concept to framing....15 hours? 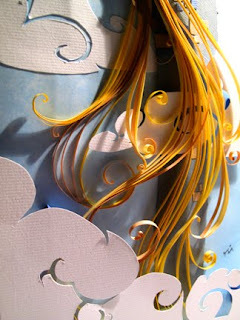 I love how you've incorporated quilling and paper cutting into the same piece. It's a great effect, and I really REALLY love this piece! 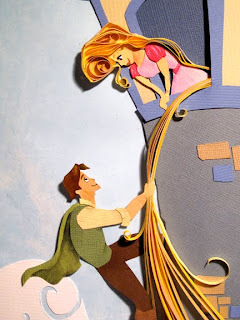 I'm glad to have found you today (through Ann Martin at All Things Paper)! thanks for your kind words gail! Beautiful! This is great! May I ask you something? 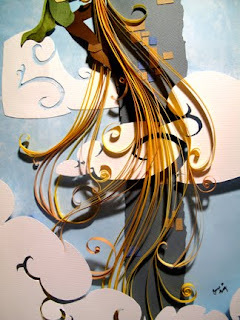 Where can someone study this kind of art? Do you teach? 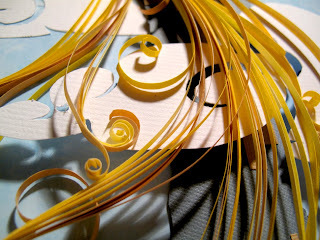 :) me and my best friend want to study all about papercutting, quilling, pop-up, etc. we started on our own December 29th of last year, but we would like to learn more, from people like you.